The Gloria Faye Dingus Music Alliance is pleased to welcome the return of the multi-award winning trio Bud’s Collective to the Listening Room at Drum & Strum. Tickets are $10, seating is limited, and advance purchase is highly recommended. Children 12 and under admitted free with parent or guardian. Doors open at 7:30 and the concert will begin at 8pm. Proceeds will go to the Gloria Faye Dingus Music Alliance a 501c3 non-profit organization dedicated to bringing music into the life of everyone. These guys have been playing music together informally for over a decade, and their music speaks of the years spent adapting and blending with one another’s styles. Only a few months after the band was formed, Bud’s Collective won first place in the DC Bluegrass Union Mid-Atlantic Band Competition. They also competed at the SPBGMA International Band Contest, placing 2nd. 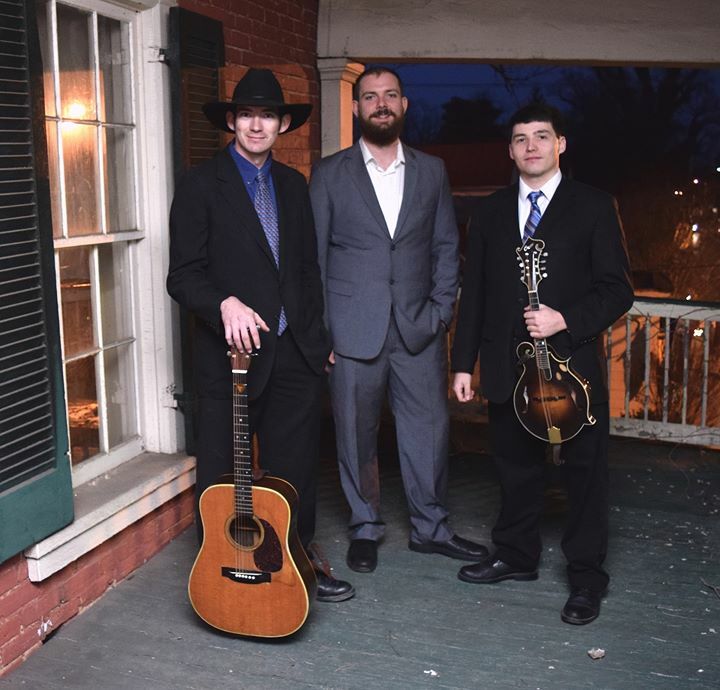 They host their own concert series called Bluegrass in the Barn which continues to grow into one of the most popular events in the West Virginia Panhandle, peaking at an audience of 400 after just a year and a half. Bud’s Collective has recorded a live album and three studio albums, including a Christmas album called Naughty List, which climbed to number 3 on the Airplay Direct charts in 2015. What truly sets them apart from the rest, however, is the energy that fills the spaces in which they play – captivating audiences and leaving them wanting more. The band is made up of front man Buddy Dunlap, a born entertainer, on guitar, lead and harmony vocals; Cody Brown on bass, lead and harmony vocals; and Jack Dunlap on mandolin, lead and harmony vocals.